Ireland's not out batsmen John Mooney, left, and Niall O'Brien, right, embrace as they walk off after defeating West Indies during their Cricket World Cup pool B match at Nelson, New Zealand. 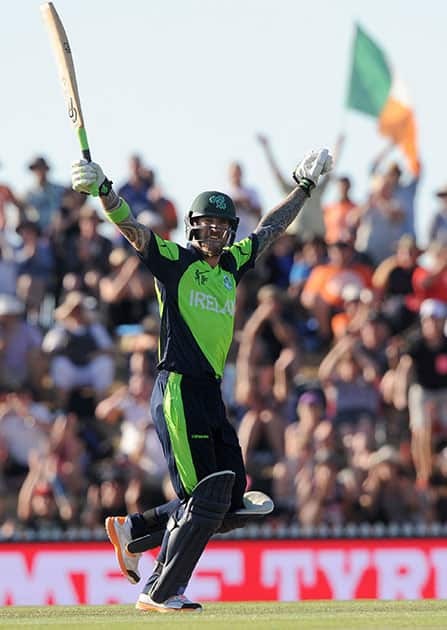 Ireland's John Mooney raises his arms after hitting the winning runs against West Indies during their Cricket World Cup pool B match at Nelson, New Zealand. 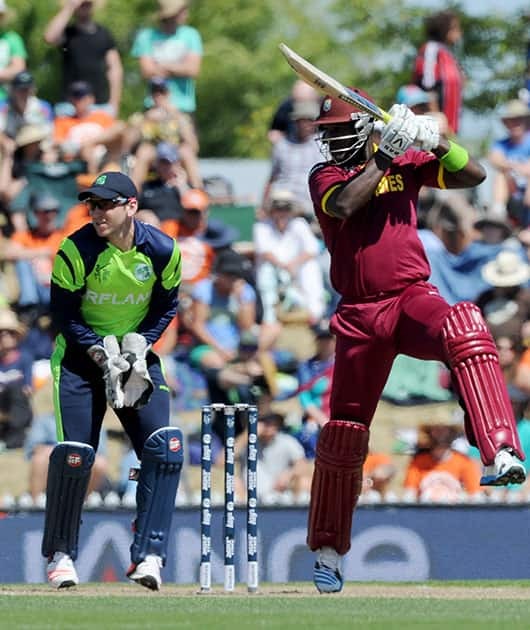 West Indies' Jerome Taylor, right, flies as he delivers a ball watched by Ireland's Niall O'Brien during their Cricket World Cup pool B match at Nelson, New Zealand. 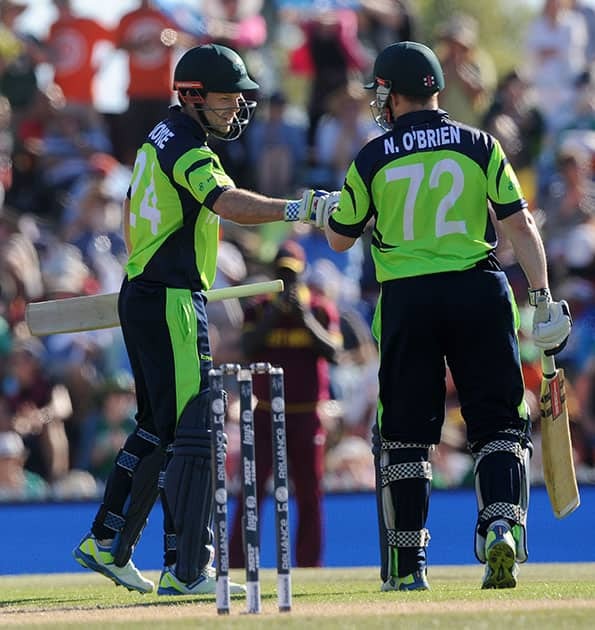 Ireland's Ed Joyce, left, and Niall O'Brien meet mid-pitch during their Cricket World Cup pool B match against West Indies at Nelson, New Zealand. 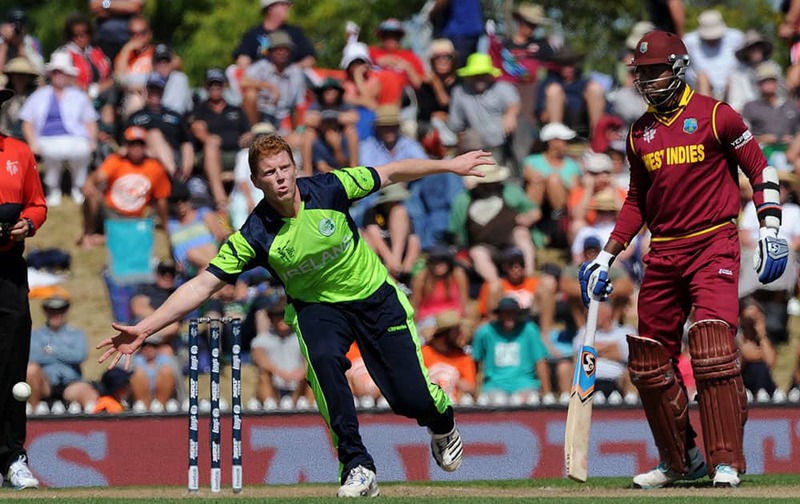 West Indies's Denesh Ramdin, left, catches the ball edged by Ireland's Paul Stirling, right, during their Cricket World Cup pool B match at Nelson, New Zealand. 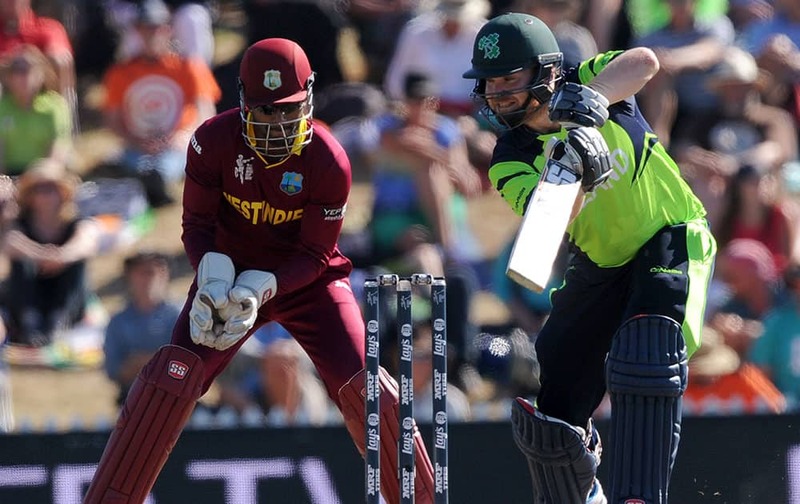 Ireland's Paul Stirling, right, sweeps the ball in front of West Indies's Denesh Ramdin during their Cricket World Cup pool B match at Nelson, New Zealand. 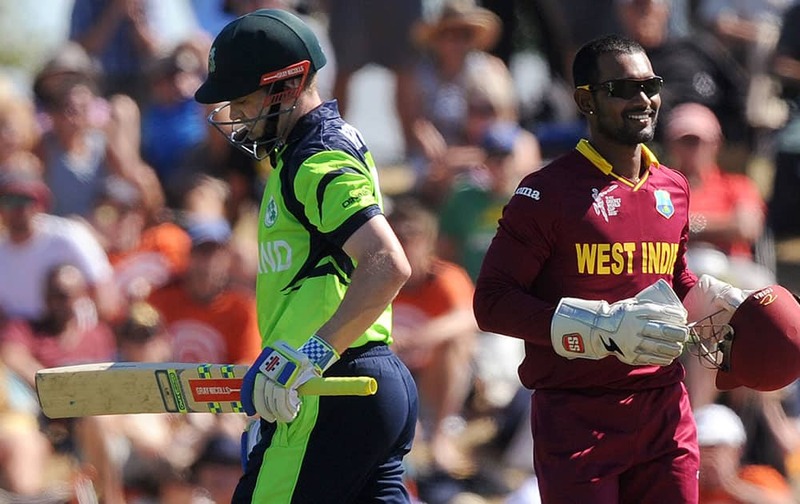 Ireland's William Porterfield, left, begins to walk off the field after he is caught out for 23 runs by West Indies's Denesh Ramdin, right, during their Cricket World Cup pool B match at Nelson, New Zealand. 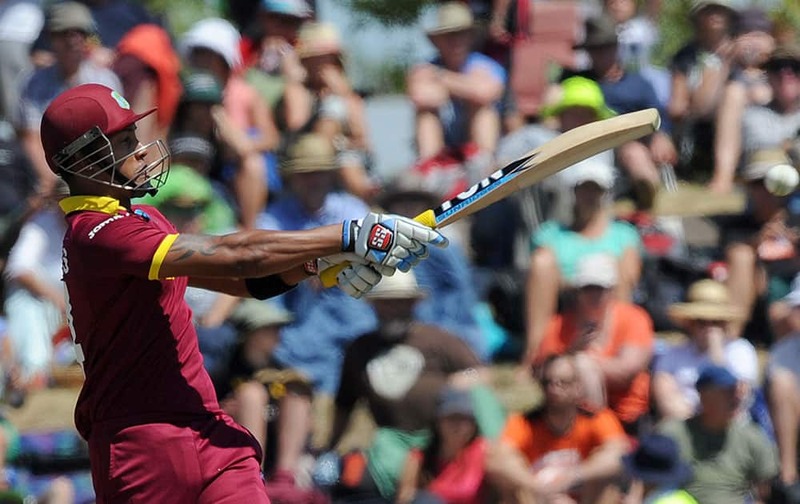 West Indies' Lendl Simmons pulls the ball against Ireland during their Cricket World Cup pool B match at Nelson, New Zealand. 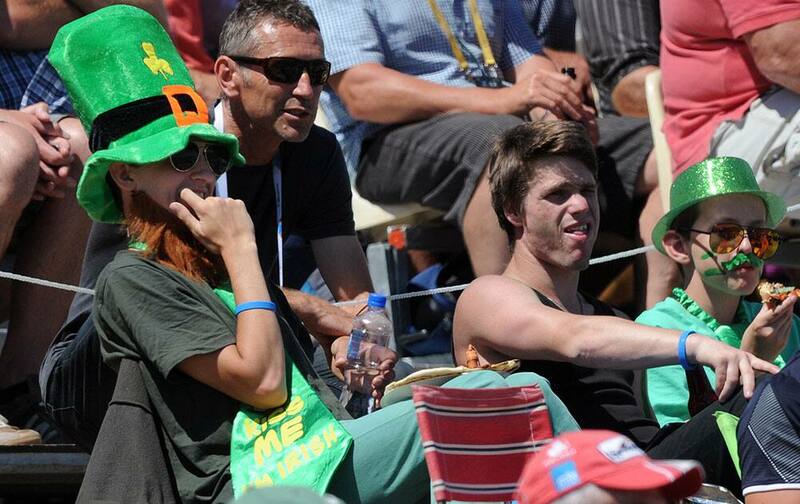 An Ireland fan in a green top hat watches from the stands as Ireland and West Indies play in their Cricket World Cup pool B match at Nelson, New Zealand. 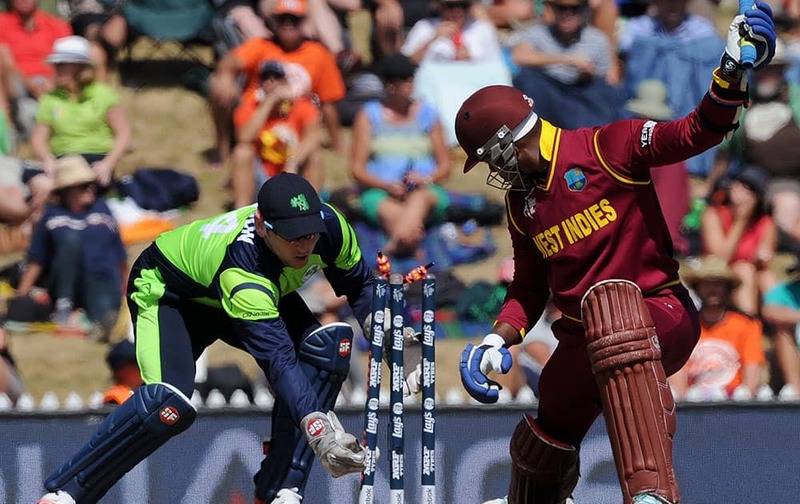 West Indies' Darren Sammy, right, drives the ball as Ireland's wicketkeeper Gary Wilson readies to field during their Cricket World Cup pool B match at Nelson, New Zealand. 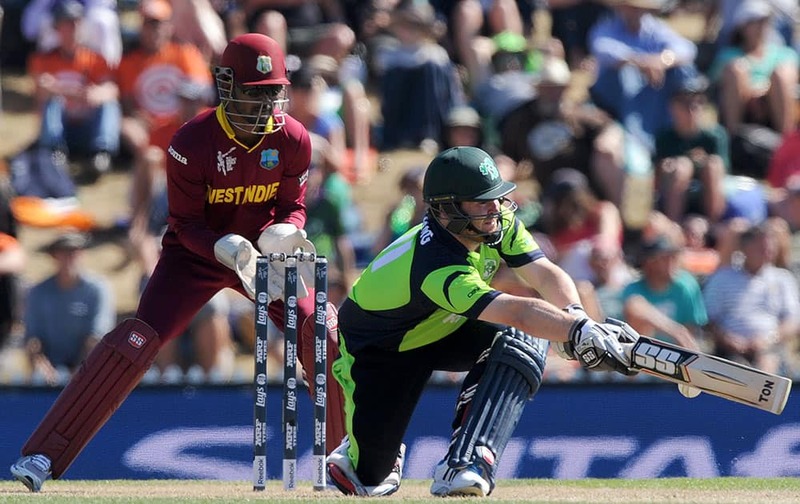 Ireland's wicketkeeper Gary Wilson, left, attempts a stumping on West Indies' Marlon Samuels during their Cricket World Cup pool B match at Nelson, New Zealand. 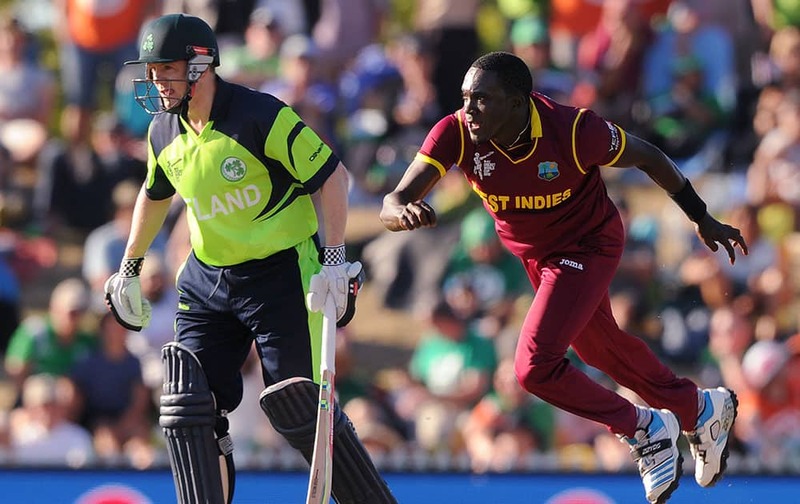 Ireland's Kevin O'Brien, left, reaches to field a ball off his own bowling as West Indies' Marlon Samuels holds his ground during their Cricket World Cup pool B match at Nelson, New Zealand.